Disclaimer: While I was approached by the publishers and given a free copy of this book to review, all of the opinions below are my own. What’s great about this book is that since the projects are little, they’re perfect for all of those scraps that have been sitting around. Also, because of their size, they won’t take you long to complete. There’s quite a bit of upcycling in this book, which is always a bonus to us “green” crafters. Microcrafts is a fun book and even though the crafts are tiny, it’s clear that the heart behind this book is huge! So whip out your fine motor skills and sharp eye and get to work crafting your way to a miniature land of happiness! 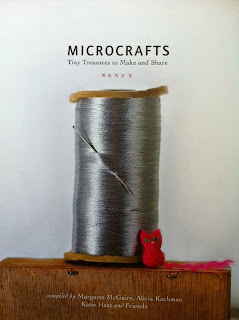 And to make things more fun, I am giving away one free copy of Microcrafts: Tiny Treasures to Make and Share. To enter this giveaway: leave a comment after this post (please become a follower of my blog as well if you aren’t already). This giveaway will close on October 18th, 2011 at 11:59 pm et. A winner will be announced on October 19th. This giveaway is open to U.S. and Canadian mailing addresses. I would love to have this book. 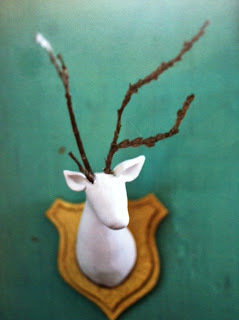 I like to make tiny crafty things. 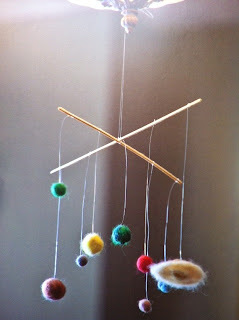 I luv crafty things, thanks! I have enjoyed crafting for many years, find it very relaxing & rewarding. Interesting book - thanks for the giveaway. The children in my care.